Looking for a low-maintenance solution for your green space? XGrass is an environmentally-friendly alternative to natural grass. Eliminate watering, mowing and fertilizing - Go green with XGrass. 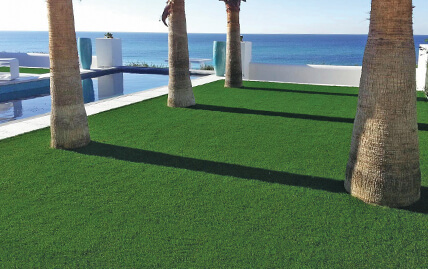 Synthetic grass lawns and landscaping turf from XGrass will revolutionize your outdoor space. Our landscaping turf is designed to look just like healthy, well-trimmed natural grass. We blend innovative grass fibers with natural looking thatch and infill systems so your turf will always look bright, green and fresh-cut. Nearly every outdoor space benefits from the beauty and functionality of natural grass surfacing, but the effect of traffic and weather on the turf can lead to problems. Even with proper maintenance, natural grass can wear down and turn into dirt and mud that gets tracked into buildings and ruins the aesthetic value it was intended to create. Family's today are busier than ever and taking care of a lawn takes a lot of time and money. With an XGrass artificial grass lawn, you will have more time to enjoy your yard and benefit from its yearlong beauty. Plus, kids and pets love it. 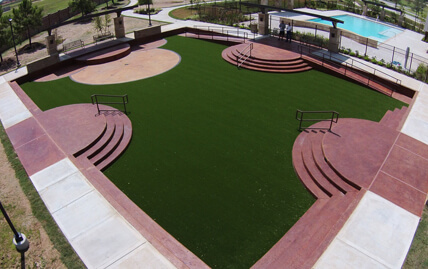 XGrass turf can transform your yard into a safe and fun place for the whole family. 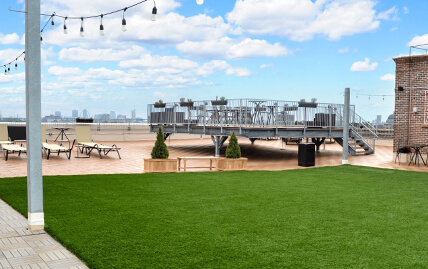 At XGrass, we see rooftops as an opportunity to transform unused space into a place where people can gather to socialize, enjoy a round of putt-putt golf or just relax in the "healing environment" associated with green spaces.